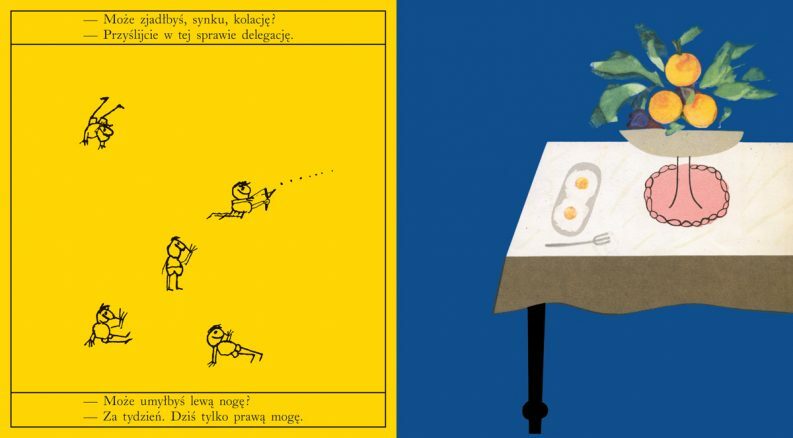 Determinedly offbeat, the Polish children’s publisher Dwie Siostry—created by three associates—embodies both the spirit of its market’s potential and the struggle of its economy’s realities. 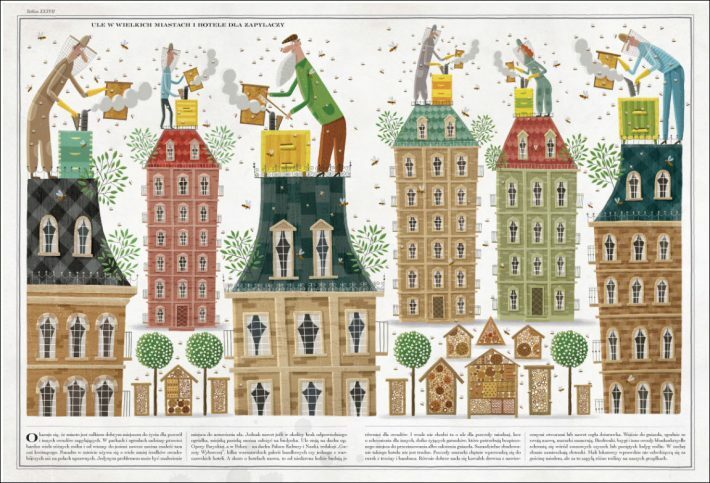 A double-page spread from ‘Gabryś, nie kapryś!’ “for wayward children” from Warsaw publisher Dwie Siostry. Text by Woroszylski, illustrations by Henryk Tomaszewski. In our series with specialists (analysts, visionaries, and players) who will tackle issues in the seven pivotal publishing markets of Frankfurt Book Fair’s conference, we hear now from Jadwiga Jędryas of Dwie Siostry Publishers in Warsaw. She’ll speak as a player in Poland’s publishing industry at The Markets: Global Publishing Summit on October 18. Having heard recently from Poland’s Sonia Draga, Magdalena Dębowska, and Marcin Skrabka, today, we have an exchange with publisher and translator Jadwiga Jędryas, whose Dwie Siostry (Two Sisters) publishing house is among the Polish scene’s best recognized producers of work for children and young adults. And what we hear from Jędryas—trained as a translator at the University of Warsaw’s Institute of Applied Linguistics—is a description of “a vicious circle” of challenges for her and her publishing colleagues. From ‘The Book of Bees’ published by Dwie Siostry with illustrations by Piotr Socha and text of Wojciech Grajkowski. 1. An unregulated market. “We’re operating in a sector of the market,” Jędryas tells Publishing Perspectives, “that lacks basic, clear rules and regulation, like fixed pricing for books. “Those who offer a bigger discount win a price war. And different parties are involved here: bookstore chains, distributors, and publishers, all trying to attract readers by discounting a book sometimes even on the day it launches. In fact, to be able to launch on a discount means that the price of the book has been inflated from the beginning. Otherwise, the book can’t pay. This is a vicious circle. 2. Disappearing bookstores. “This pricing phenomenon leads to the disappearance of independent bookstores,” says Jędryas, “changing our book market landscape into one dominated by bookstore chains with a homogenous and limited, mainstream offer. “These bookstore chains–aware of their dominant position on the market–throw their weight around by dictating and imposing the rules: prolonged payment periods, excessive fees for displaying books on the shelves. “Another example of lack of clear competitive regulation is that some distributors and/or wholesalers are publishers, themselves, blocking market access to given sale areas and channels to those whose offers seem to threaten theirs. 3. Weak cultural appreciation for children’s content. “As a children’s book publisher,” Jędryas says, “we’re frustrated by the fact that culture and arts for children haven’t gained special status, nor are they considered by legislators or by government as a priority—and not even as a cultural sector distinguished from adult content. “We have to compete for ministerial grants with publishers of adult literature,” she says. “There are no dedicated programs or budgets for children festivals or projects. “In fact, generally the press and television only recognize the existence of children’s books before Christmas and around Children’s Day, which is celebrated in Poland on the first of June. This is a patronizing attitude; there are virtually no children’s book reviews in opinion-forming press on other instances. 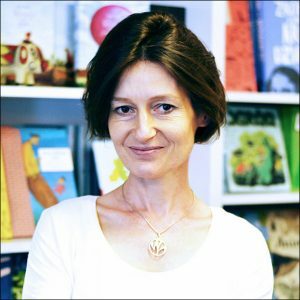 Jędryas, however, says she sees a ray of hope in the Polish children’s market: “Something is beginning to change in terms of a general recognition of picture books,” she tells Publishing Perspectives, “and this is thanks to our book lovers and bloggers. Publishing Perspectives: What would you say distinguishes your publishing house and helps you understand these issues in the Polish market? Jadwiga Jędryas: Dwie Siostry Publishing is a Warsaw-based independent publisher of mostly children’s books, founded 10 years ago by three friends: Ewa Stiasny, a graphic designer; Joanna Rzyska, an educationist and linguist; and me, a translator. From the beginning, we’ve been driven by an ambition to bring out high-quality and up-market books—not necessarily in terms of price but definitely in terms of content, appearance and finishing—as a counterweight to what was available on the children’s book market in the mid-1990s. We acted Pollyanna-ishly. We didn’t have it in mind to make a fortune. Not making a loss would have been a success for us. We were motivated by an ideal of enlightening the public and offering it new, hitherto unknown standards and stories. PP: And there was a connection to Poland’s posters in your work, right? JJ: Bearing in mind—and in memory—the achievements of the so-called Polish School of Posters design, we started on one hand to revive the work of Poland’s very best graphic designers from the 1960s and ’70s. On the other hand, we wanted to introduce the finest foreign artists, both writers and illustrators, still unknown to the Polish audience. We also quickly noticed that there’s a great hunger for alternative content in education; this has become our third guideline in choosing books for our catalog: nonfiction that’s attractive both visually and in its content. These art and activity books form the core of our publishing list. PP: How is your work understood in Poland? JJ: Throughout the years, we’ve gained a reputation in Poland for setting high-quality editorial, typographic, and printing standards. We promote young Polish artists, and we sell international rights for many of our books. 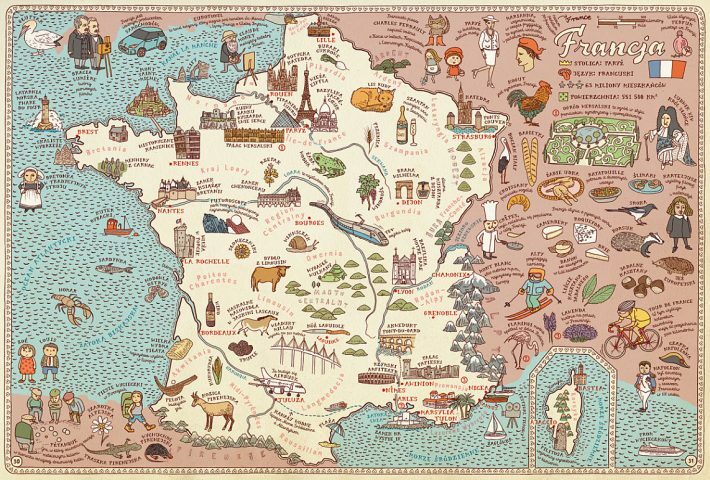 We’re quite successful here with Maps by Aleksandra and Daniel Mizielińskis, the lavish atlas that has set a new trend for oversized informative books. It has sold more than 2.5 million copies worldwide. And we have other titles with similar potential, including The Book of Bees by Piotr Socha; Underground, Underwater by the Mizielińskis; and more. Our books receive international awards too, like the Bologna Ragazzi mention for a nonfiction book in 2011, What Will You Become? by the Mizielińskis, and in 2015 for Jan Bajtlik’s Typogryzmol. Our work is also valued by the best Polish printers: most of the foreign editions of our bestselling books are printed in Poland for the work of our exacting partners. PP: How well do you feel you know your audience? JJ: One could say that we’ve got a flair for knowing and understanding what kind of books the public is looking for, but in fact we’ve always been inspired by a direct contact with our readers. We’ve been organizing workshops for the youngest readers, these days in our own bookshop, and for librarians. We teach them how to work with interactive books and books without text. We interact with the public during book fairs and we allow young artists and art students to make their debuts in our house through our illustration competition. PP: So you’d chalk up the bulk of your success to what? PP: And you’ve paid your dues. JJ: After 10 years, we think we know the business of publishing books in Poland through and through, after so many ups and downs. These days, we think we’re on a rising path. 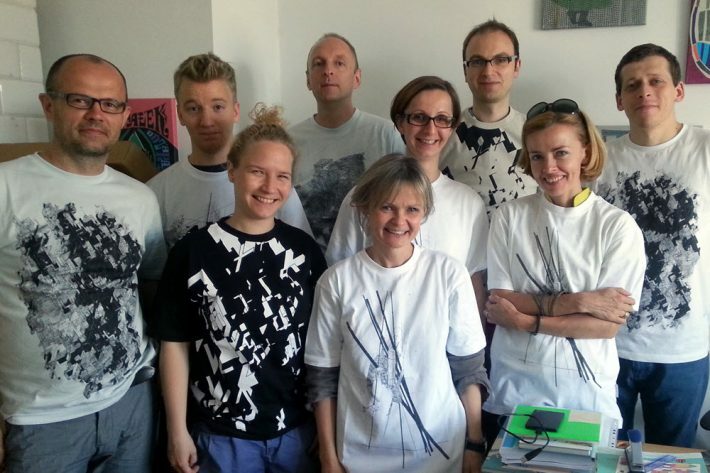 The staff of Warsaw’s Dwie Siostry. Image: Provided by the publisher. 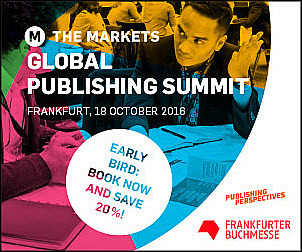 In addition to our Markets white paper, you can read our series of interviews and information relation to The Markets: Global Publishing Summit (18 October 2016) from Publishing Perspectives and the Frankfurt Book Fair.